Note, you will need to restart the app after changing this setting for it to take effect. This is Gliph’s 40th release for iOS, on a steady three year run of development for the Gliph iPhone application. While the app has evolved quite a bit, this particular release marks a big step forward for the app! 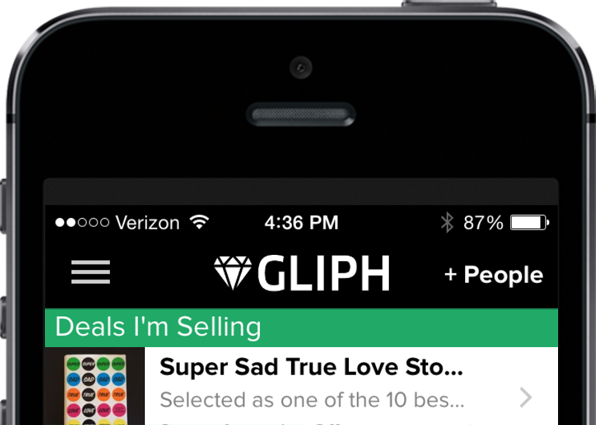 This is the first version of our iOS app with Gliph Marketplace. We have a variety of improvements planned that fill out this important new part of Gliph. As always, we appreciate your support and feedback. Please send a message to Support with comments! And if you missed it, today we released Gliph Marketplace for Desktop Web.